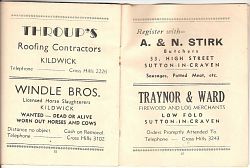 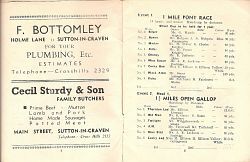 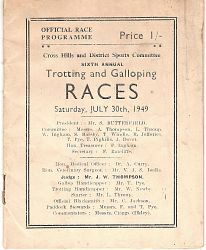 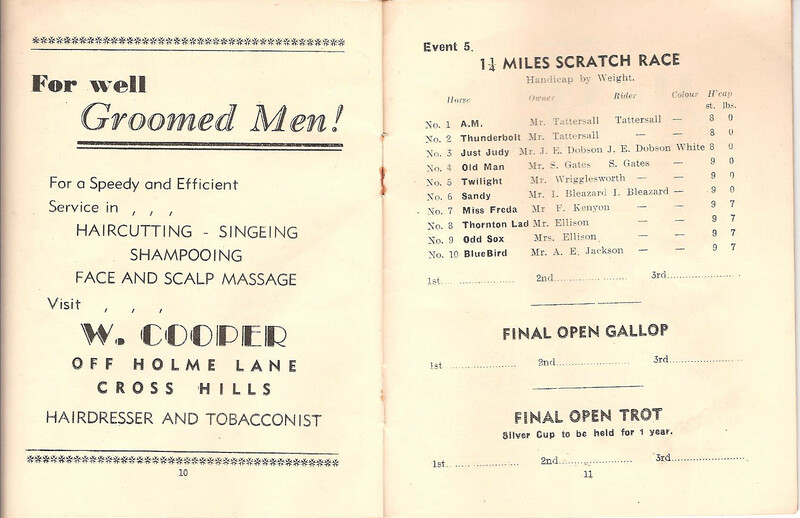 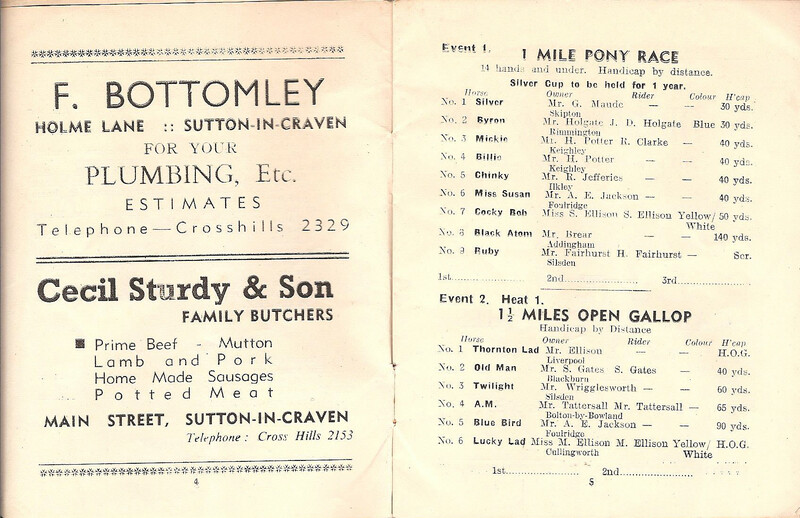 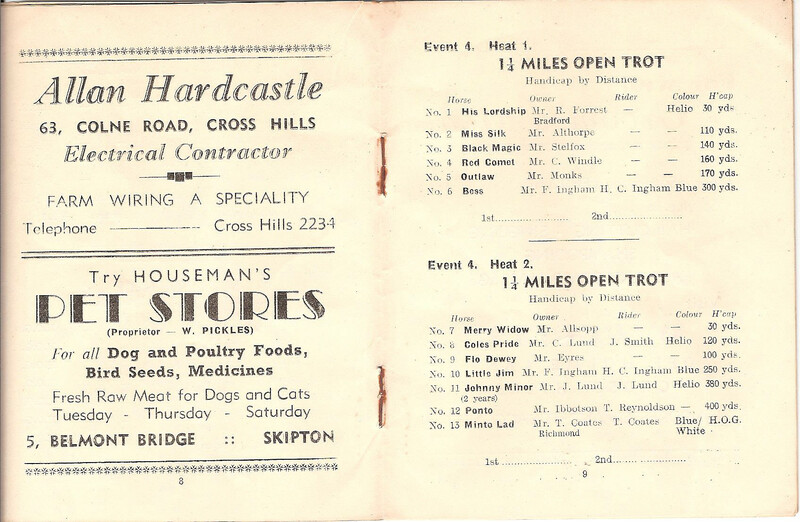 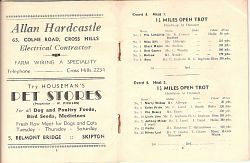 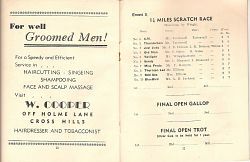 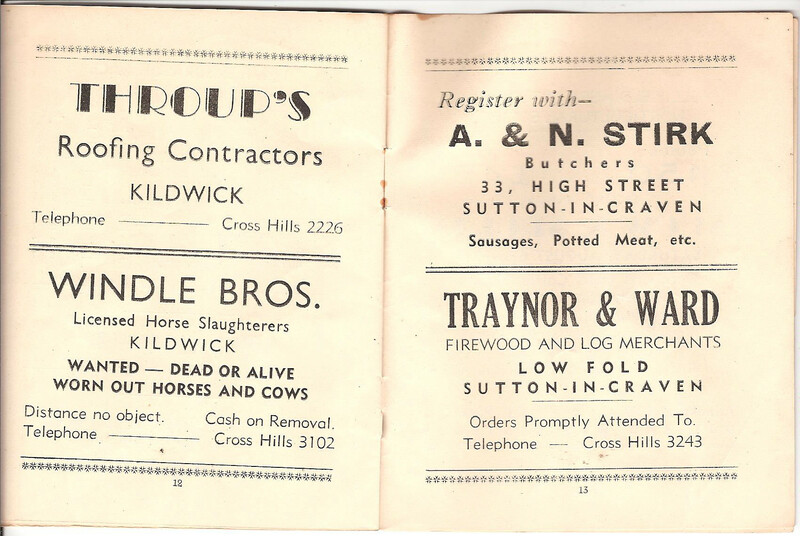 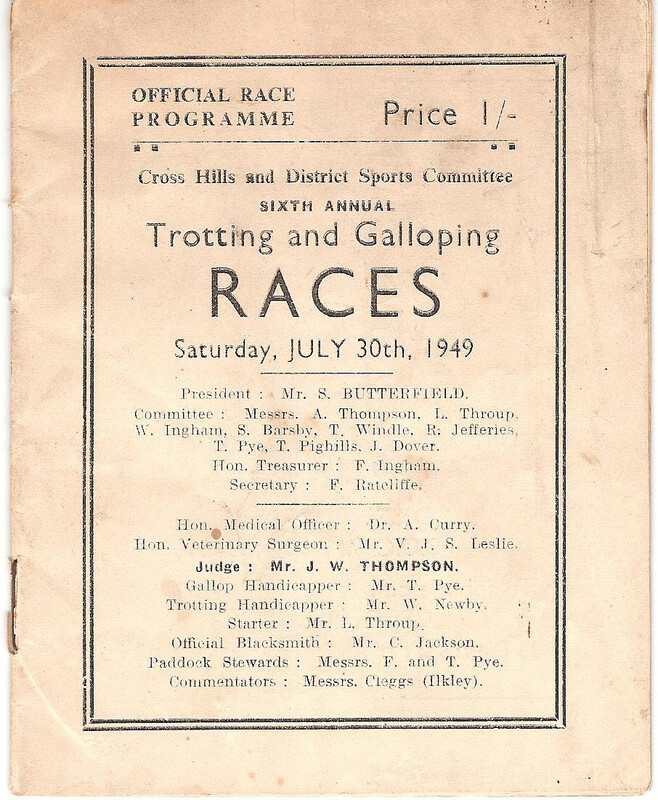 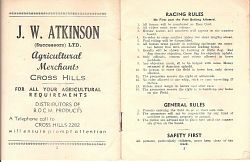 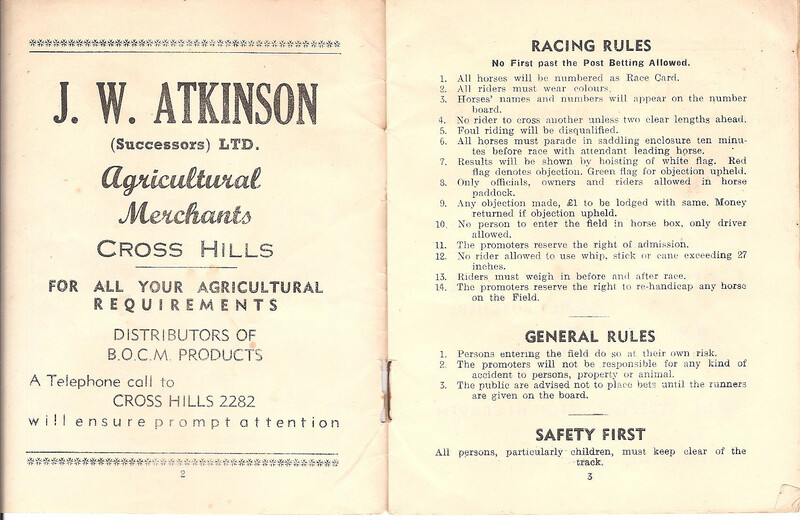 Official Race Programme of Cross Hills and District Sports Committee's Sixth Annual Trotting and Galloping Races held Saturday, July 30th, 1949. 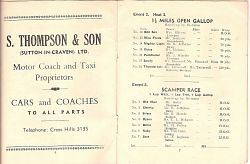 The races were held on the site where South Craven School now stands. 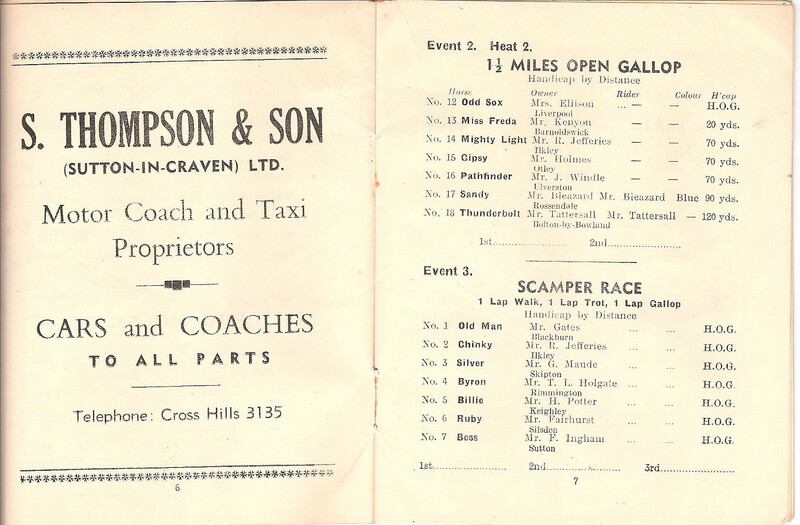 Many thanks to Tony Ingham who kindly provided the scans.